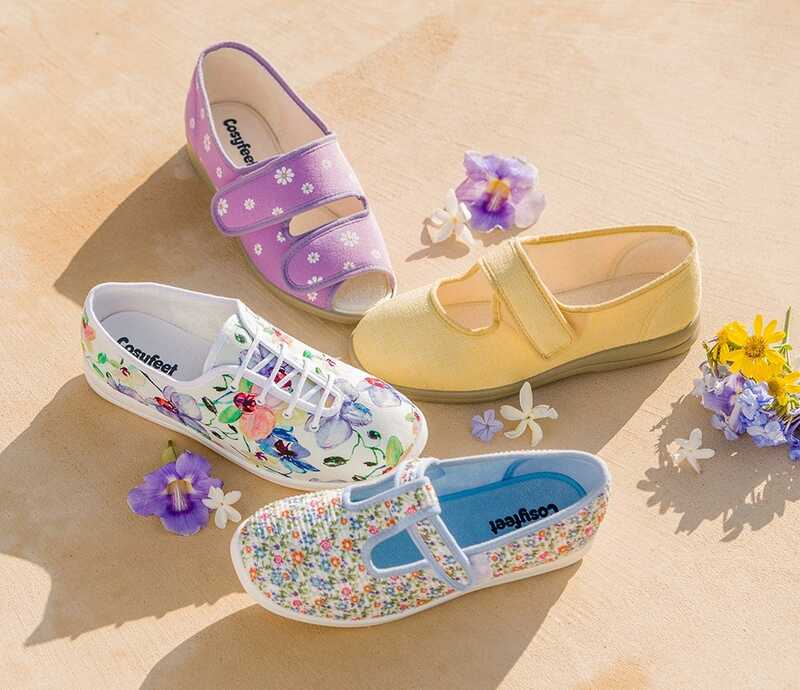 Floral prints are all the rage this season – embrace the flower power trend with some of our fantastically comfortable fabric shoes and sandals. Stay cool and comfy on warmer days with this pretty, cotton-lined sandal. Lightweight and adjustable, you can wear it indoors and out and it’s an ideal style for holidays. Molly is available in a choice of six colours, and sizes 3-9. This is the summery, cotton-mix version of our popular Skye style. Lightweight yet supportive, it’s soft and seam-free at the toe to keep you comfy on days out and holidays. Margaret is available in a choice of two limited edition colours, and sizes 3-9. The toe-shape of this attractive, lightweight casual is square and roomy so it’s ideal if you have swollen, sore or bandaged toes. The fabric is soft and cool and it’s seam-free at the toe for extra comfort. Steffi is available in three colours, and sizes 3-9. In a choice of attractive colourways, this lightweight, summer casual feels as good as it looks thanks to the cool, cotton-mix fabric. It’s supportive around the heel and the lace adjusts to fit over a swollen instep. Sammi is available in four colours, and sizes 3-9. Click here to view our full range of floral styles.